CITY of INDUSTRY, CA (March 18, 2013) – CyberPower Inc. www.CyberPowerPC.com, a global manufacturer of custom gaming PCs, has retooled its small form factor LAN-event PC series into a new family of systems named the LAN III, which is packed with the power and the headroom to accommodate the latest gaming hardware and titles. 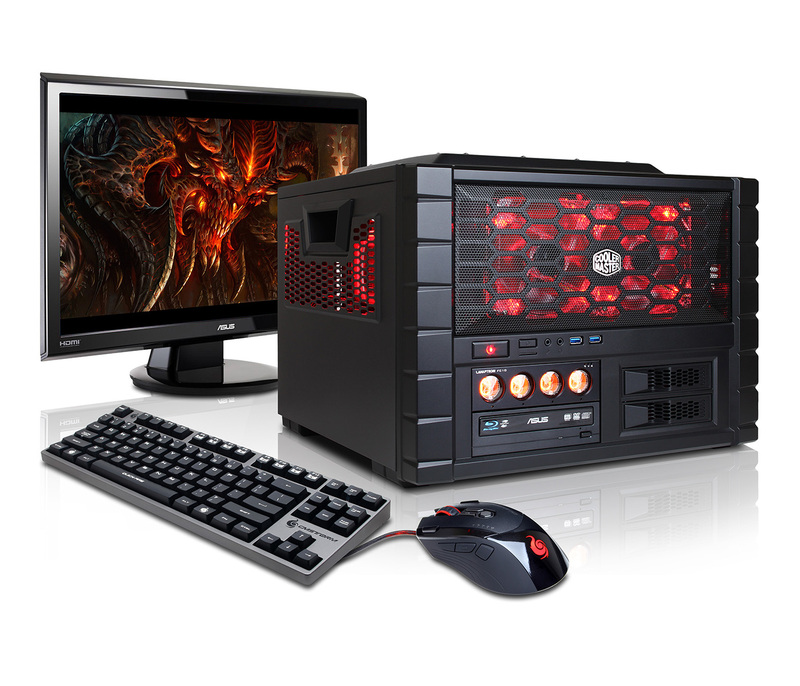 The CyberPowerPC LAN III series debuts with four distinct models priced from $439-$1395 and loaded with the latest performance hardware from Intel, AMD and NVIDIA. 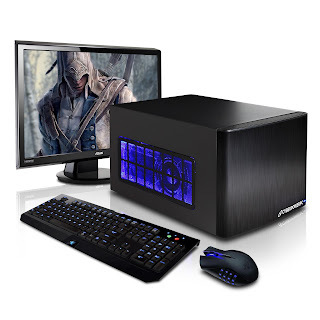 Gamers can tap CyberPowerPC’s “armory” to build a custom LAN-party worthy system with a wide choice of components from Intel's flagship X79 platform with 3rd Gen Core processors to AMD's 990FX Chipset with Vishera 8-core processors. Users can drop the latest arsenal of GPUs into their LAN III, which includes NVIDIA GeForce series powered by the new "Kepler" architecture and AMD Radeon's "Southern Islands" Graphics. Both series deliver the latest PCI express 3.0 for flawless gaming and multimedia performance. The LAN III system gets new chassis to accentuate their LAN-partying small-form factor style. The BitFenix Prodigy, a sturdy mini-ITX case with FyberFlex handles provides the enclosure for both the new LAN Mini-I and the LAN III Xtreme; both systems are powered by Intel’s Express Chipset and 3rd Gen. Core processors. The subtly stylish Fractal Design Node 304 represents the LAN III Mini-A that’s powered by AMD’s APUs and A75 chipset. Lastly the unique Cooler Master HAF-XB is the case for the LAN III Commander; a powerful, yet compact system featuring Intel’s X79 chipset and Sandy Bridge-E processor. All LAN III models are liquid cooled with a choice of 120MM/240MM cooling to ensure that users smoke their opponents and not their system. These small form factor systems all feature the latest I/O technology including front panel USB 3.0 and other case features to enhance your computing experience. The LAN III Mini-A utilizes the unique Fractal Design NODE 304 mid-tower chassis and is powered by AMD's processors. MSRP is $439. The LAN III Mini-I continues the tradition of previous MINIs with liquid-cooling in a SFF enclosure equipped with the latest 3rd Gen Intel Core processors and B75 chipset. It’s the perfect combination of power, portability, and practicality. The Mini-I has all the features of a full-tower system at a fraction of its size. MSRP is $705. The LAN III Xtreme utilizes the distinct BitFenix Prodigy mid-tower chassis and is powered by Intel's 3rd Generation Core processors with Z77 chipset. MSRP is $795. The LAN III Commander is the top-end system, which features the cube-like Cooler Master HAF XB Chassis to provide ample room on the inside for the latest hardware and future upgradeability. The LAN III Commander also includes the enthusiast Intel X79 chipset, which features ultra high quad-channel memory bandwidth and Sandy Bridge-E processors for uncompromising performance. MSRP is $1395. All CyberPowerPC systems are assembled and supported in the USA. Every system is meticulously built including precise cable routing to ensure optimal airflow and a clean aesthetic appearance. 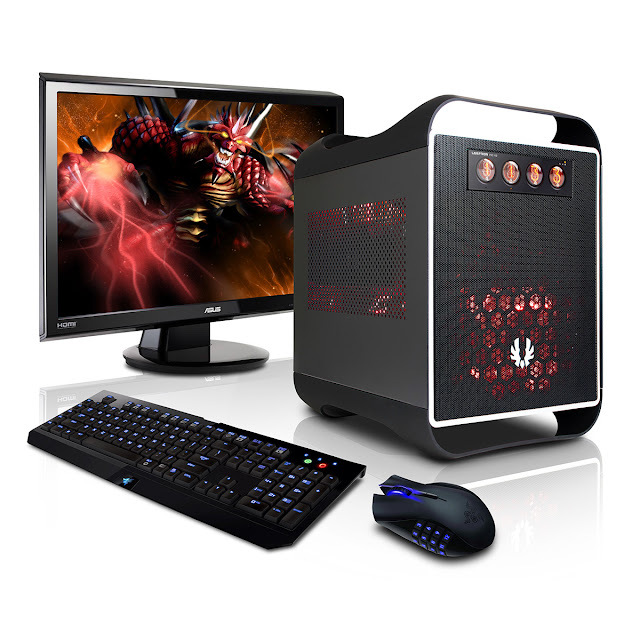 CyberPowerPC loads every system with Microsoft Windows 8 for an enhanced gaming and multimedia experience. All CyberPowerPC desktop gaming systems include an industry-best 3-year limited warranty.